Horror tales to stun, frighten, and delight you. Each with their own little twist. They are, after all...quite unexpected! You can find & subscribe to our show on iTunes, Google Play, or anywhere else you stream your podcasts. We’re on social media, @unexpectedshow on Twitter and @theunexpectedpodcast on Facebook. 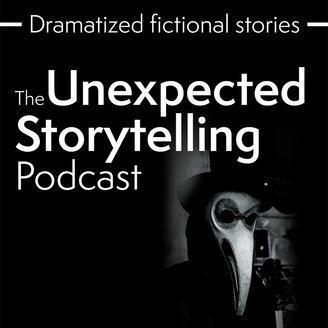 You can also find out what we’re up to on our website, www.theunexpectedpodcast.com. 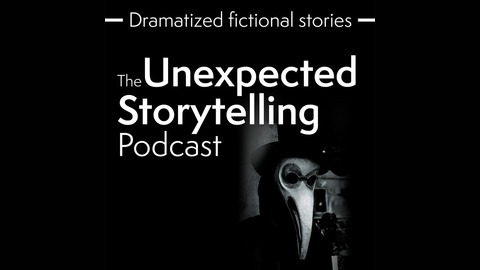 The Unexpected storytelling podcast is written, produced, and directed by Andrew Soucek, Dustin Riccio and Erik Bergstrom. Each story is somehow a work of fiction, and with the exception of public figures like Tony Danza, any resemblance to persons living or dead is coincidental, and unexpected.